2) Put a piece of fusible interfacing onto the torn area, and one blue (folded) patch over that. 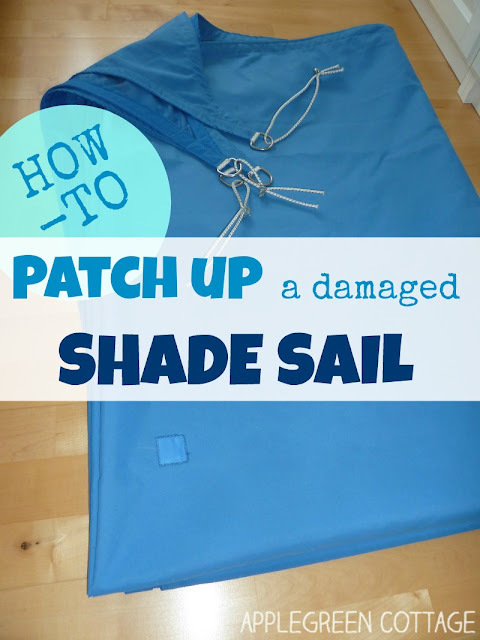 To prevent any heat damage from ironing the shade sail, set the iron to low heat and cover the area with a moist cotton cloth - then just apply the tip of the iron to the patch area - just enough to fuse all layers together. See below. 3) The same pieces of fusible interface and the blue patch are to be added to the other side, too. But before that, you'll need to find the exact location as it needs to exactly match the first patch. Off course, if you want to complicate just like I do - I wanted to sew all layers together with one single stitch line. The easiest way to do so is to stick pins to the corners of the front patch and to mark the spots on the other side. You should then take the pins out. 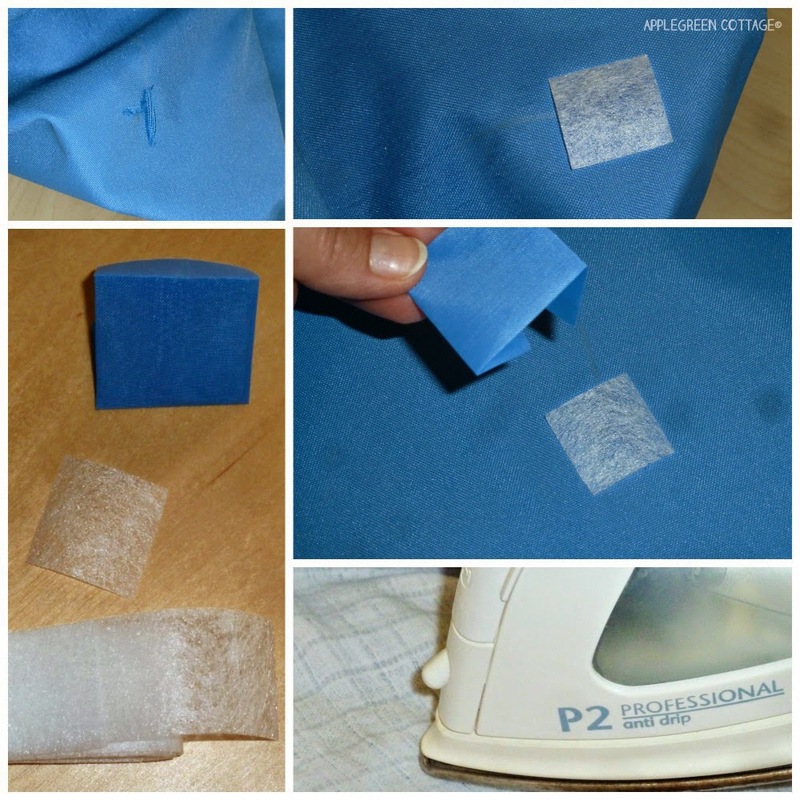 5) Apply fusible interfacing to the other side, too, and cover it by the blue patch. Again, when ironing, you need to use the tip of the iron and a cotton cloth to protect the sail. 6) Finally, sewing: use a midsized zigzag stitch. For tidy corners, move the needle by using the hand wheel at each end of the line. One thing here: I often don't care to match the color of the bobbin thread to the upper thread, but here you need to. It's a must. 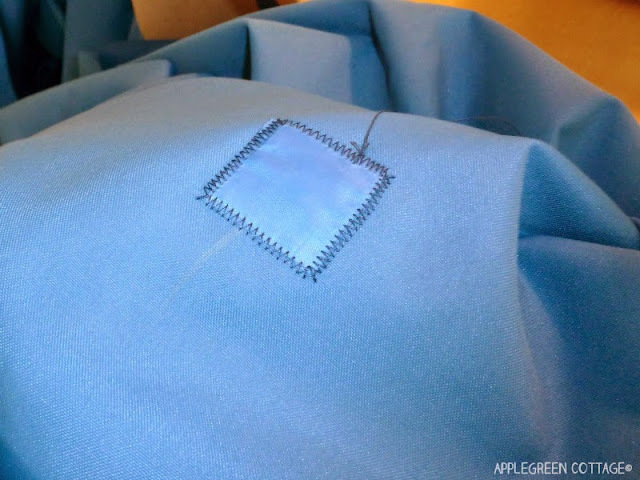 7) Secure the first and the final stitch by pulling threads on one side and tying them together in a knot. (I advise against backstitching to avoid bulk). The needle I used is thin enough to prevent any water running through even when raining. Time will show if I'm right. 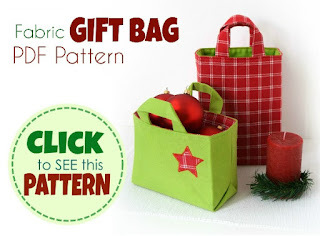 Want More Tutorials, Patterns and DIY?